The Charlotte Woman’s Club (now GFWC – Charlotte) organized in 1887 as a literary club to “enhance the status of the individual woman.” It became part of an international organization – GFWC – in 1890. Today there are over one million members in the US and in 20 countries – Charlotte’s Club has about 100 members. This organization of community-based volunteer women’s clubs is dedicated to community service. GFWC programs and projects encompass the major issues of our time. Unlike most of today’s single-issue organizations, GFWC, through its six departments, has programs in the Arts, Conservation, Education, Home Life, International Affairs and Public Affairs. This structure allows us to address the emerging needs of individual communities. For example, GFWC – Charlotte is locally involved with such programs as Reading is FUNdemental (RIF), Youth Mentoring, Mobile Meals, City Beautification, the Court House Square Association, placing defibrillators in the Charlotte Public Schools, the “Welcome” sign at exit 61, providing scholarships to students, (and their members through the Education Foundation Fund), providing “Kind News” to classroom teachers, assisting the House of Ruth, Guiding Harbor, Bay Cliff, helping with school and public elections, and promoting women�s health. (GFWC is responsible for the establishment of 75% of America's public libraries.) In addition, we have had a chorus since 1975 which performs locally and state wide. The members pay dues our club holds fundraisers, and we are also supplemented with product sales, such as jewelry and candy/nut, we are sponsoring the SIREN Holiday Tea to raise funds for SIREN and our projects. 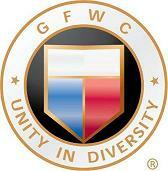 If you are interested in joining GFWC-Charlotte, contact Sherry Myers at sherry-myers@hotmail.com Membership Chair.